Olive trees are native to the Mediterranean, but find similar climates in Arizona, Nevada, and California. Olive trees add a unique look to your landscape, they have pale green slender leaves and small white flowers in the Spring. The fruit, however, can’t be eaten directly from the tree, so they tend to leave a mess when they fall and will even stain the concrete. The pollen from the olive blossoms is considered an allergen, so as interesting as they are, there are complications of owning Olive trees. Because preparing and processing the olives to make them edible is such a chore, most people would rather keep trimming the tree’s branches to prevent fruit growth. If you want to enjoy the look of olive trees in full bloom, without the hassle of cleaning up the fallen fruit, we recommend using an olive tree fruit inhibitor. What is an Olive Tree Fruit Inhibitor? An olive tree fruit inhibitor is a growth regulator that is sprayed onto the leaves and branches of the tree. While the solution soaks into the tree, it breaks down to release ethylene, which is released by trees when stressed. With the release of ethylene, this will trick the olive tree and will keep olives from producing as a self-defense mechanism. While the inhibitor helps with taming the olives, it’s important to know when to spray and how to spray. In Arizona, the best time to spray olive trees to prevent fruit is between February and mid-March. We Spray during these months to help reduce the amount of pollen in the Spring. Using an olive tree fruit inhibitor may not completely wipe out the fruit, but will help their overall upkeep and decrease the chances of fruit dropping. 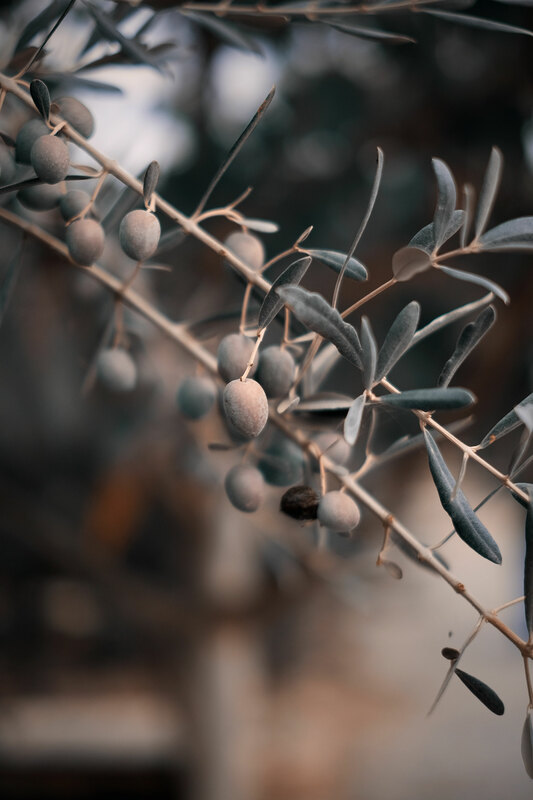 At Green Keeper Tree Care, we offer an Olive Tree Fruit Inhibitor service and know the best time and way to spray your olive trees to keep the fruit from growing. If you are wanting to keep fruit from producing on your olive trees, contact us today to schedule your appointment.